Welcome to The Really Crafty Link Party #66! Hello and welcome! I hope you've enjoyed a wonderful weekend. Now it's the perfect time to link up what you've been working on lately and browse around for what everyone else is sharing. This is a party, so try to visit at least a couple of other links and share the party on social media too. The more, the merrier! As usual, the linkup will be open until next Thursday and I will be posting the features on Friday, April 28th. Did you miss last week's amazing features? Click below to check them out! 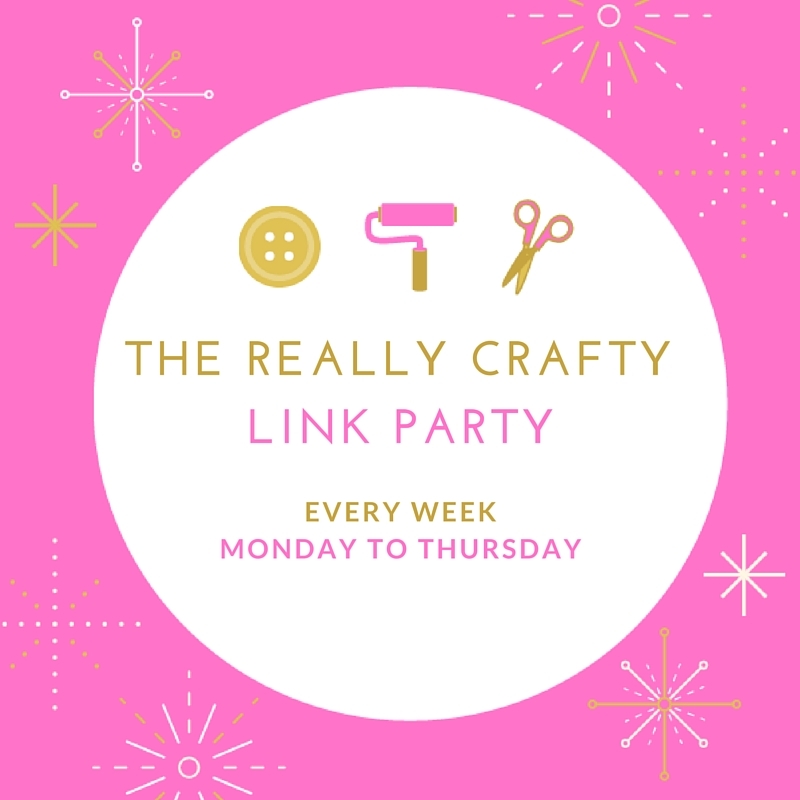 Now onto this week's party: The Really Crafty Link Party is focused on crafts, so the idea is for you to link up all your crafty posts: DIYs, printables, home decor, tutorials, recipes, whatever you want to share. Feel free to share as many links as you want, and old posts are welcome! I have no problem if you want to add the same link in more than one week; it will still be eligible for a feature but please note that I will comment and add it to the Pinterest board only once.You can add posts on other subjects (family friendly please), but only craft related posts will have a chance to be featured and will be pinned to the party's Pinterest board. 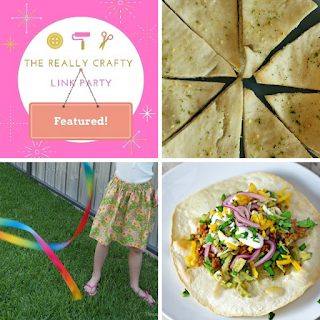 If you host your own party, add it too - it may not be featured, but you'll be sharing it with all of us anyway, and we all love to discover new parties! There are no thumbnails in the party, so in the "name" field of the linky make sure you add an interesting title/description to your post. If you follow me via any social media (icons in the side bar) let me know in the comments and I'll make sure to follow you back! By linking up you give me permission to use your photos in features or round-ups, and to share your posts on social media (always with a link back to you for proper credit). Thank you again for stopping by, and have a wonderful week! THanks Teresa for hosting, have a wonderful week! why does your lonky have no pics and show my name instead of the post title? No pics, sorry, but in the field where it says "name" you should write actually the post title. Ni idea why Inlinkz works like this, but it does - or if there's a way to change it, I haven't found it yet. Thanks for the party Teresa! Have a great week! Thank you, I'm so glad you could join this week! Thanks for hosting a great party! Shared a post from each of my three blogs! Thank you, it's always great to see your posts!